DENVER – The Colorado Senate voted Wednesday to repass the local control oil and gas bill, SB19-181 , to Gov. Jared Polis for his signature. The Senate voted unanimously, 35-0, to concur with 14 amendments to the bill passed in the state House , then sent the controversial measure to the governor’s desk in a party-line 19-16 vote. There had been some speculation that the Senate would start over on the amendments, which would have led to a conference committee between the House and Senate in which lawmakers would have had to hash out an agreement near the May 3 end of the session. Polis is expected to sign the measure. He will have 10 days to either sign the bill, veto it, or allow it to become law without his signature. 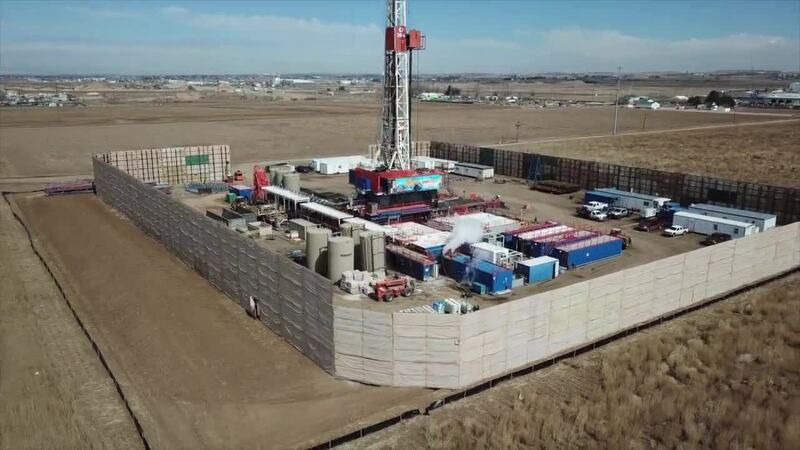 The bill will give local control to municipalities when it comes to approving drilling sites, would prioritize regulation of the $32 billion industry by the Colorado Oil and Gas Conservation Commission and would make the COGCC put public health and safety and the environment first in making decisions about the industry. The measure received the backing of Erin Martinez , who was severely burned in the April 2017 Firestone explosion and whose husband, Mark Martinez, and brother, Joey Irwin , were killed in the explosion . The measure comes with great opposition from industry stakeholders and local leadership in heavily-producing areas, which say the measure will hamper the state’s industry, and thus, its economy. Colorado ranks No. 5 and No. 6 in the nation for crude oil and natural gas production, respectively. And it comes after Colorado voters defeated two measures relating to the oil and gas industry in the state – one backed by environmentalists and one backed by the industry – and elected Democrats to lead the Senate and all major political offices in Colorado. Colorado Rising Action Executive Director Michael Fields, whose organization opposed the setbacks and supported the industry-backed measure, said Wednesday after the measure passed that it was "rammed" through the legislature and claimed the state will lose "billions of dollars of tax revenue." After the measure was sent to Polis’ desk Wednesday, two of the major industry groups opposing the measure, the Colorado Petroleum Council and Colorado Oil and Gas Association, said they still remained opposed to the measure but added that they were pleased with some of the amendments agreed upon in both chambers and agreed with bill sponsors that the measure was the most sweeping oil and gas legislation Colorado has seen in decades. “While we clearly disagree on this bill, we appreciate that legislative leaders heard us and opened a dialogue in the final two weeks about the unintended, and intended, consequences of the legislation as introduced. We hope that dialogue will continue for the remainder of the legislative session and beyond – that’s how Colorado should work. Our state’s energy future is too important to shut out voices from all impacted stakeholder communities,” COGA’s Dan Haley and CPC’s Ben Marter said in a joint statement. Haley and Marter said that state officials had committed to working with the industry during the upcoming rulemaking process once the bill becomes law, as is expected. Part of that process will be determining how the COGCC director may delay final determination on permits -- something that was changed in the amendment process at the request of the industry. The original bill contained language saying the director could deny a permit. Bill sponsor Senate Majority Leader Steve Fenberg, D-Boulder, said he didn't believe any of the amendments, which had been criticized by some environmental groups and Colorado Rising, threatened the intent of the original bill and said he felt it was still a "very strong bill." "The industry had input. They provided information that was put into the bill. But no, they did not write the bill and I think they're used to writing the bill," Fenberg told Denver7. "That's what we've seen in the past, or they're used to saying, 'Vote no.' And frankly, the Republicans in the legislature generally follow their lead, and that's why this is so exciting to actually get a bill across the finish line." He said he felt that the final bill upholds the promises made by lawmakers at the beginning of the session to protect public health and safety despite the contentious discussions over the measure. "It probably shaved a few years off my life. ... I'm proud of what we've accomplished. It's not perfect for the families, for the communities, for the local governments or for the industry. But in the end, it's an overall comprehensive, positive leap," Fenberg said. "I hope that this provides them some solace that they will now have some tools that they will now be able to work with their local community to actually figure out what is best for their community." Anne Lee Foster of Colorado Rising said Wednesday the bill was "a step in the right direction" despite the organization's concerns over some of the amendments. She said that both sides of the issue were in "uncharted territory" and that she believed the organization was "very likely" to bring another ballot initiative to voters, though it's unclear what the language would be. "This was an incredible hard fight. Concession were given to the industry but we do thank our lawmakers for taking this on," Foster said. The ramifications of the bill's passage, though it has not been signed by Polis yet, were already being felt Wednesday. The COGCC's director postponed the Boulder County Commission's April 29 and 30 hearing about the Crestone Comprehensive Development Plan. The April 9 public comment session that was to follow the hearing was also canceled. Boulder County said the decision to postpone the April hearings was made "until the effects of those changes (stemming from SB19-181) are understood and implemented."